Cranbrook House was originally built by Albert Kahn in 1908, with additions in 1918 and 1920. Designed with an English Art and Crafts inspired motif, one of the most defining features of Cranbrook House is its clay tile roof and copper gutters, downspouts, and flashing. The color, texture, and decorative pieces all contribute to the beauty of a clay tile roofing system, but it’s also incredibly functional: the original roof lasted over 100 years. Cranbrook House under construction, c. 1907. James Scripps Booth, photographer. Copyright Cranbrook Archives. Roofing is typically called the “first line of defense” for a building. The roof takes the brunt of weather exposure and any falling trees, branches, or debris. Even with all of these factors working against the roof, a clay tile roof is expected to last 100 years! Yet over the course of their lifespan and after many years of exposure, the tiles become brittle and eventually break. Broken tiles decrease protection against weather and are at risk of falling from the building. The original tiles on the Cranbrook House roof had become weak and broken tiles were increasingly becoming an issue. Further, the original underlayment materials (layers of weather and water proofing on top of the wooden roof deck but below the clay tiles) were failing. Issues with original underlayments are common in older buildings as historically, underlayments were made of felt coated in asphalt. Since the materials used were organic, they breakdown overtime and eventually disintegrate. It’s important to note that 100% waterproofing of a roof is achieved by the underlayments, not the clay tiles. The clay tiles deflect and shed a large amount of water, but it is normal for some moisture to accumulate beneath them. The underlayments must create a fully waterproof barrier, or else water will get onto the roof deck and leaks will appear in the building. At Cranbrook House, the sheer size of the roof made it necessary for us to divide the project into a multi-year series of phases. Cranbrook completed the first roof replacement phase over the Library Wing from 2003 to 2004. The second phase, above the Oak Room and east wing, was completed in 2015 and Phase 3, the northeast wing, was completed in 2016. Phase 2A covered the north half of main house last summer and the final phase, the south (front) half of the main house is currently in progress. It will be completed this fall. 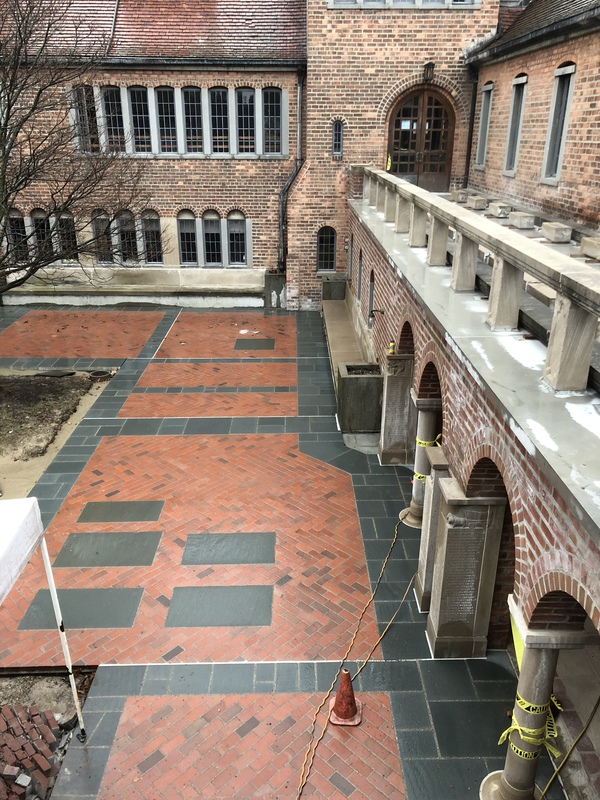 While the Interlocking Combination Shingle Tile had long since been discontinued, Ludowici was able to recreate the same field tiles so that our restoration would be as accurate as possible. 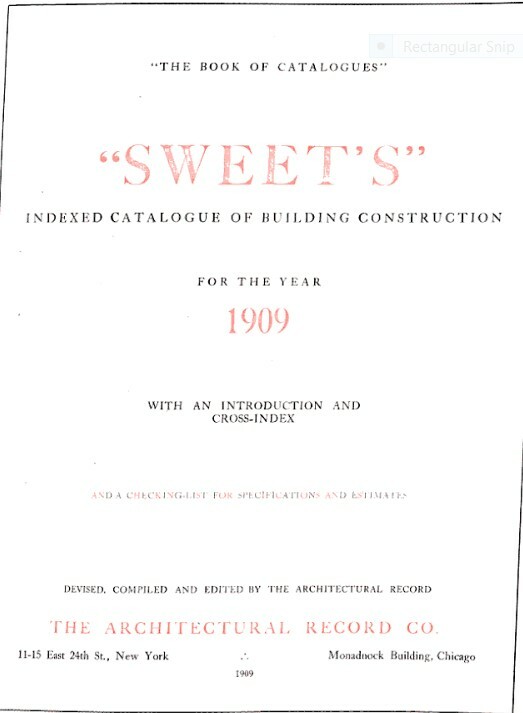 In addition, there were many specialty pieces that were made custom for the roof in 1908. These pieces had to be removed from Cranbrook House and sent to Ludowici so they could take molds and produce exact replicas. Ludowici produced all of our new tiles at the same time so that the color and finish would be consistent across the entire roof. The Interlocking Combination Shingle system was designed to improve the way water is repelled, featuring a raised edge on the upper half of each tile. Cranbrook House roofing tiles. Courtesy Cranbrook Capital Projects. Each row of tile is offset so that any water that falls through the void between the tiles would flow onto the tile below. The raised edge funnels water downward so it doesn’t have a path to run onto the roof deck. Part of the project scope was to install two new synthetic underlayment products. The underlayment attached directly to the roof deck is the Grace Ice and Water Shield. Between the ice and water shield and the tile is a blue material called Deck Armor. This provides some weatherproofing but more importantly, it protects the ice and water shield from sharp edges on the clay tiles–if the ice and water shield gets punctured, the roof will leak. Because of all the intricacies on a historic roof replacement project, it is very important to have an experienced team of architects, contractors, subcontractors, and suppliers working together for success. We have had a great team out here, so thank you to all who have been involved in the project over the years. On June 18, 2014, a treacherous storm passed through Bloomfield Hills with wind gusts of up to thirty-nine miles per hour. 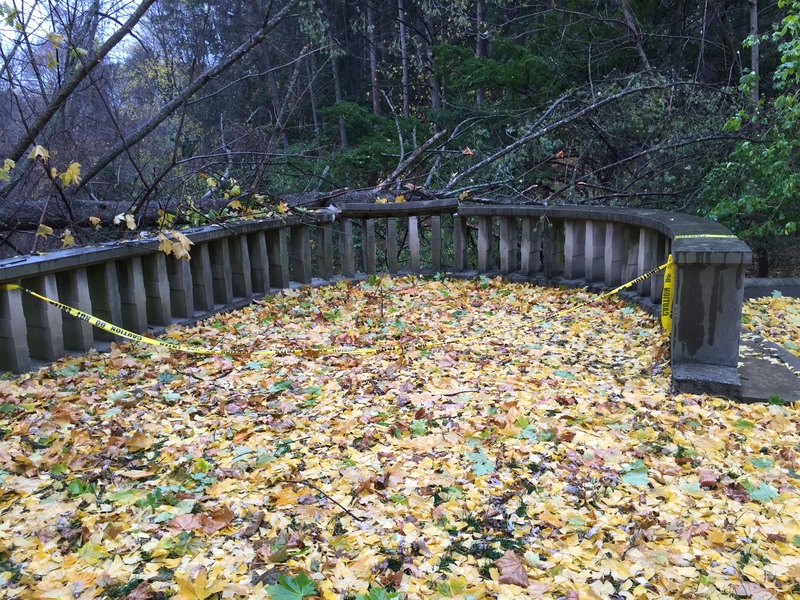 At some point during the storm, a tree snapped and fell directly onto the Cranbrook House Pergola*, causing significant damage. Much of the original redwood trellis was crushed and two of the column capitals were severely damaged. One of the columns was knocked completely off the wall. 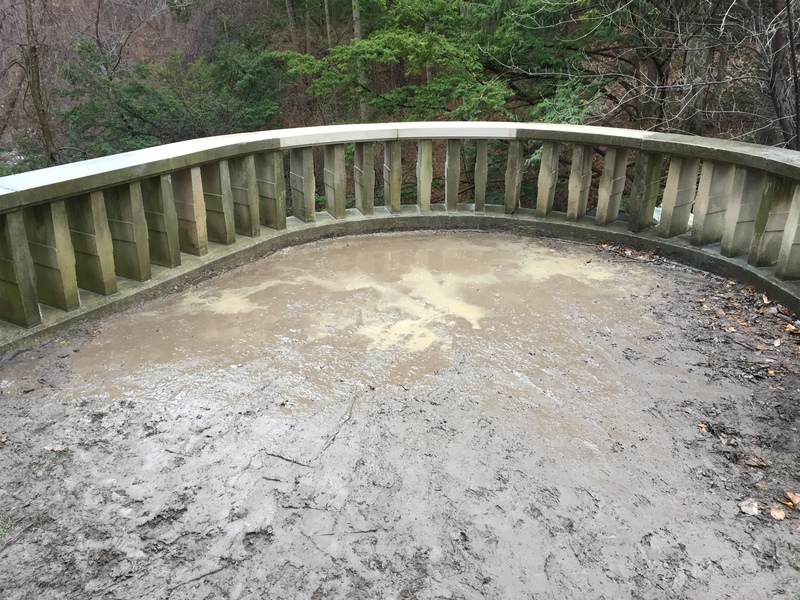 In addition, the concrete slab and columns had been deteriorating over time due to water infiltration. 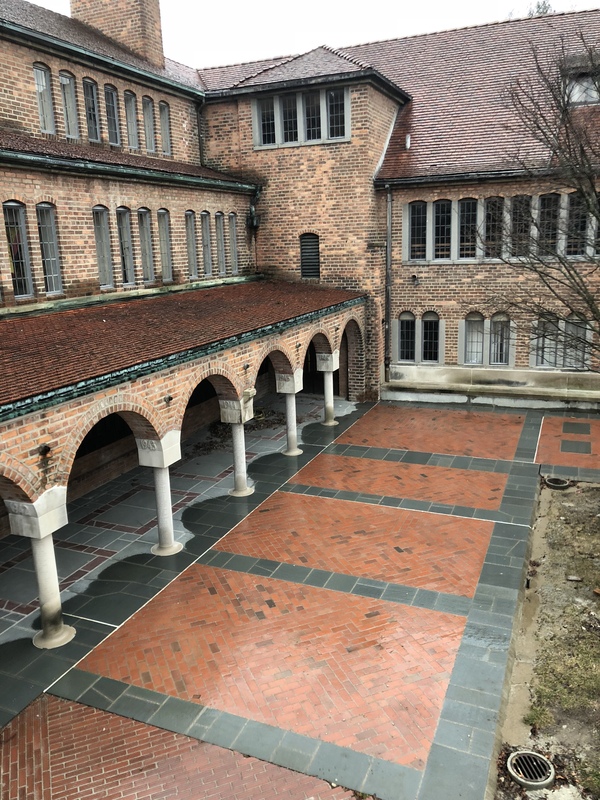 Cranbrook was left with an unusable space, directly adjacent to the Sunken Garden. 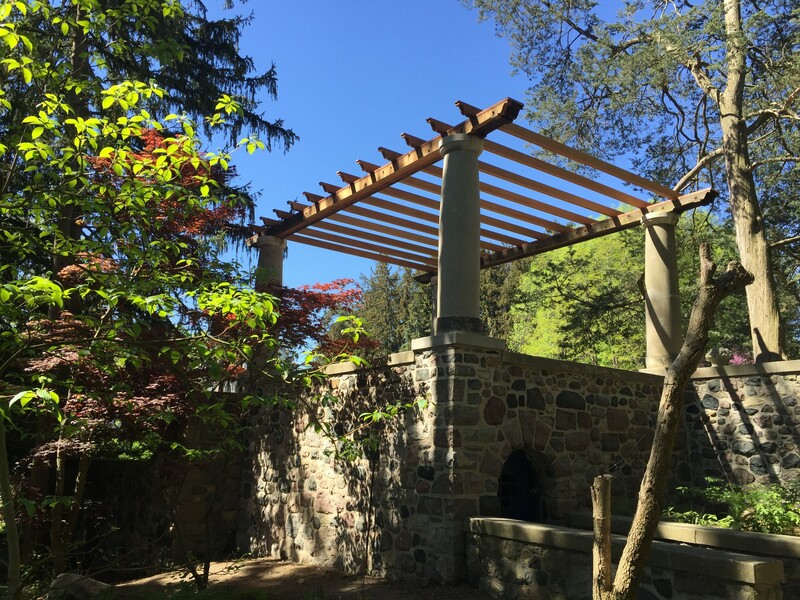 Reconstruction of the pergola began two years later on June 6th, 2016. The goal was to preserve as much original historic material as possible, while replacing anything that was beyond repair. The first step in the restoration process was to re-tuck point all the mortar in the stone walls which had deteriorated over time. 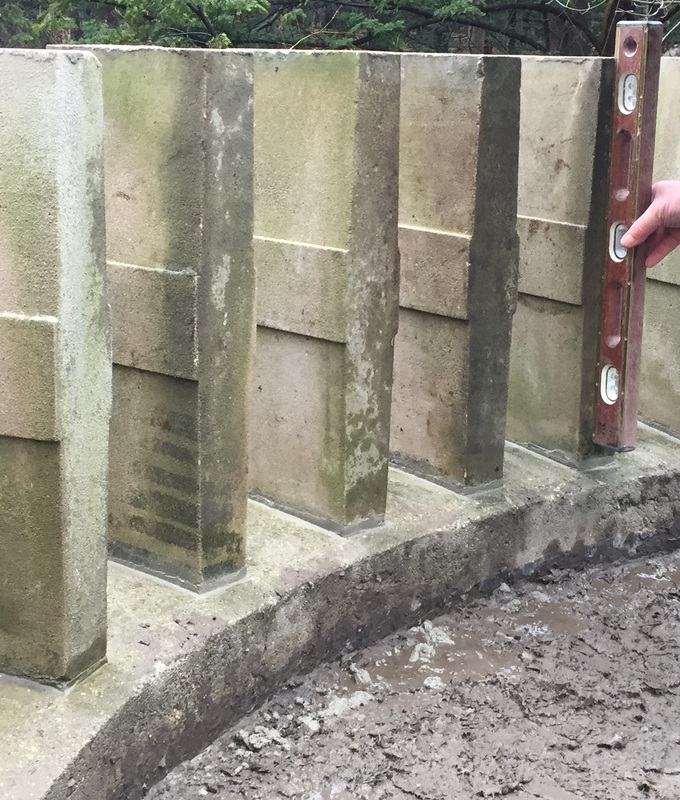 All the mortar in the joints between each stone had to be chipped out and cleaned before the new mortar could be installed. In various instances when mortar was removed, the stones would become loose. In efforts to hold the stones in place, wood wedges would be inserted to temporarily hold rocks in place. 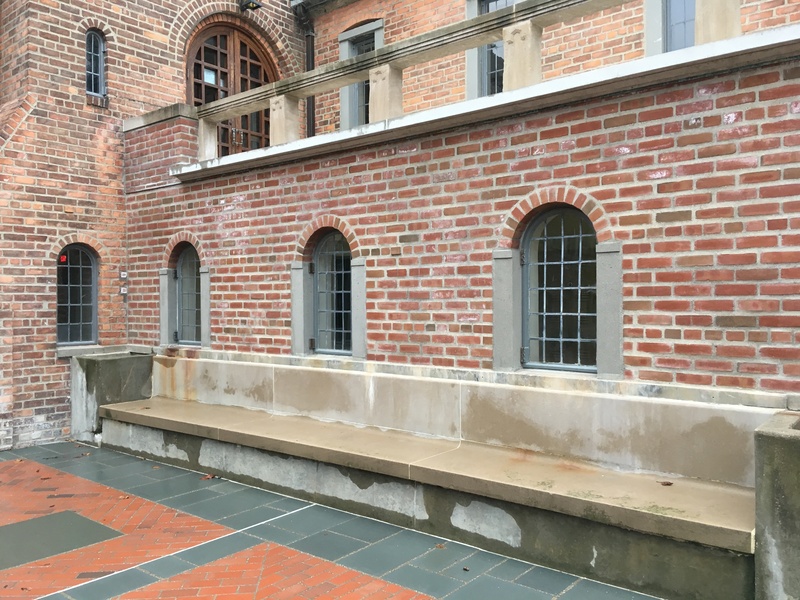 In addition to improving the appearance, the new tuck pointed mortar provided renewed support for the walls, allowing us to remove the floor slab. Next, the crew removed the existing wood beam (to be reused) and began to systematically demolish the concrete wall caps and columns. 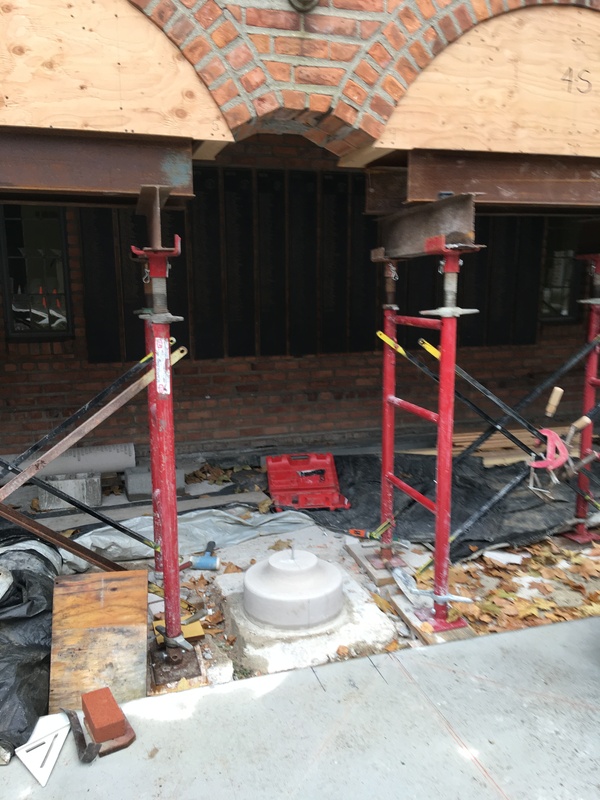 The northwest column, base and capital were left in place throughout the project as they were structurally sound. However, the other three columns had to be demolished and rebuilt. Much of the concrete on the inside of the columns was so deteriorated that portions of it could be removed by hand. Demolition continued with removing the concrete slab which served as both the ceiling for a garden storage area and the floor for the pergola. Demolition of the slab was challenging because the stone walls were built on top of it, as opposed to the slab being poured abutting the walls. The contractor had to leave notches of the slab in place to provide support and prevent the walls from collapsing. Each notch was then very carefully removed and temporary shoring was installed to prevent a cave in. Next, the crew formed the ceiling/floor and installed rebar so the new structural slab would be much stronger than the original. When pouring the concrete, the crew had to be meticulous to ensure it was evenly placed under all the stone walls and through the cage of rebar. 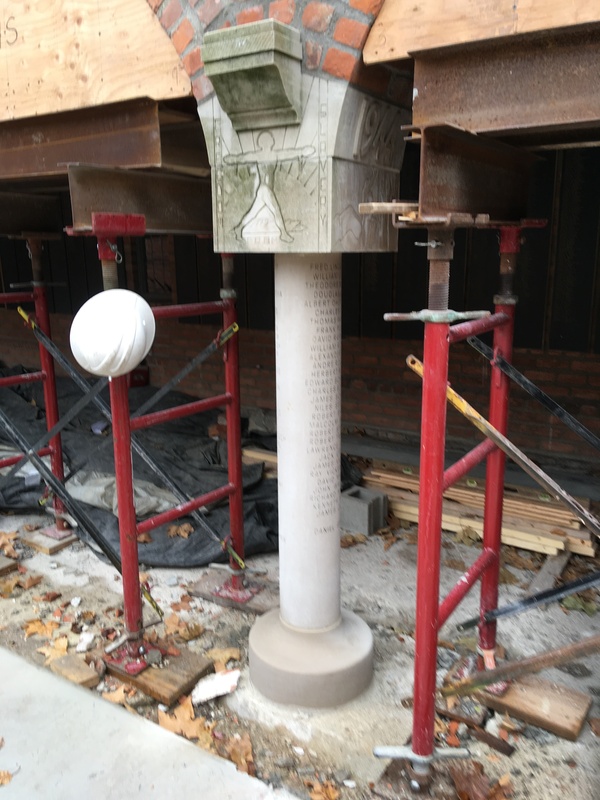 Once the slab was poured, the crew started building the column forms. 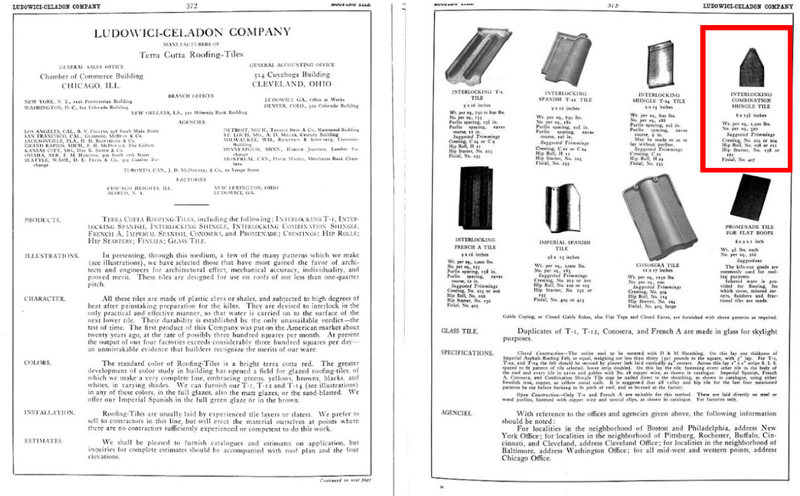 Each column’s entasis, or taper, toward the top was achieved by building a wooden barrel that narrowed towards the top. The concrete was then cast directly into the barrel. This process was very similar to how the columns were originally constructed. As mentioned earlier, one of the beams was salvageable in its entirety. However, the other beam had to be rebuilt with about fifty percent new wood bolted to the older beam. Like the original construction, we used redwood. The contractor replaced all the purlins (or cross beams) with new redwood, using one of the original purlins to recreate the decorative pattern on each end. 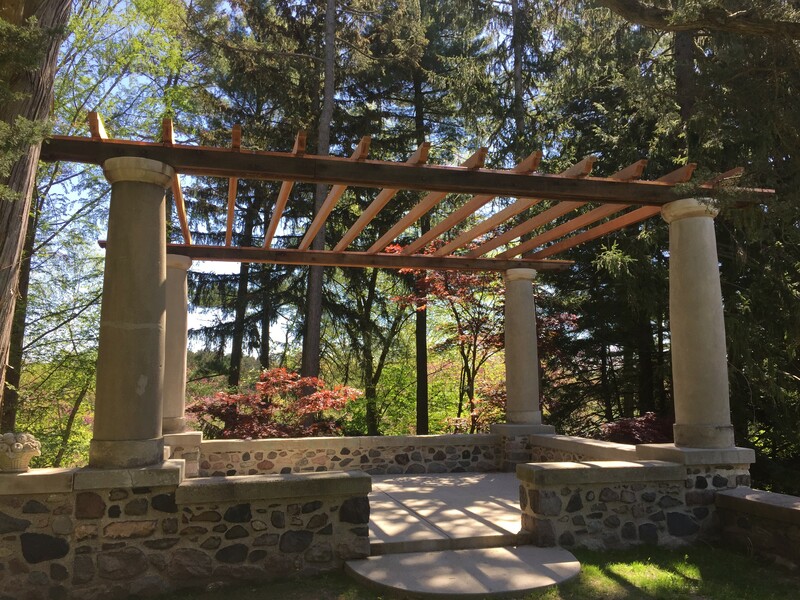 After a few finishing touches, the new (and improved) Cranbrook House Pergola was completed. Many thanks to the crew involved in this restoration project, and come check it out for yourself soon! 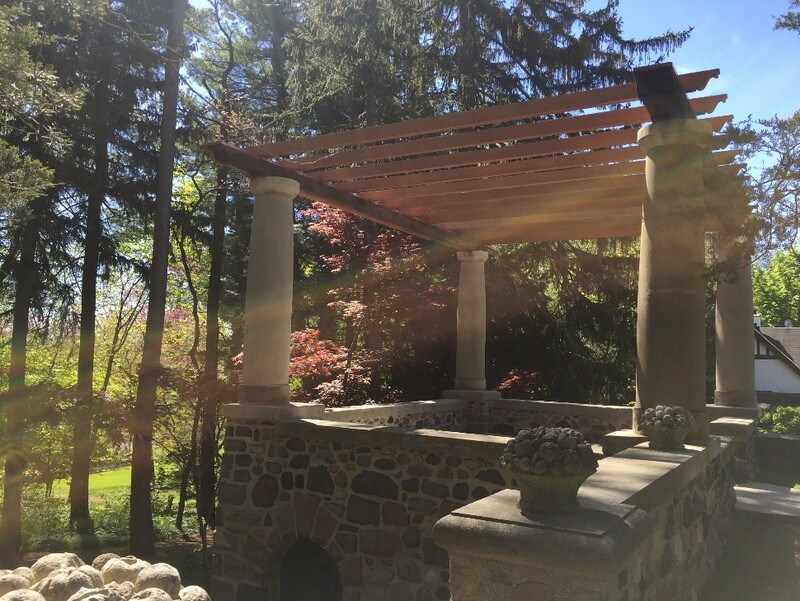 * Cranbrook Archives was able to determine that the original pergola was intact as early as 1919. 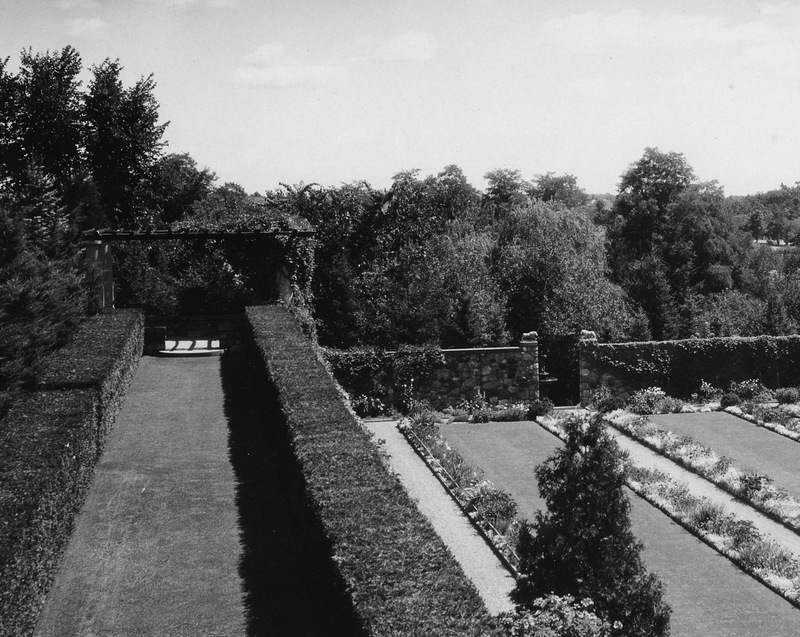 View from Cranbrook House looking down “Hedge Alley” towards the pergola, ca 1925. Courtesy Cranbrook Archives. Special thanks to Elizabeth Fairman (CKU ’17) for research assistance. This week’s post is from a new guest contributor, Ryan Pfeifer. Ryan works with Cranbrook’s Capital Projects Office, and we hope to feature more of his (and Capital Projects) work to preserve our historic campus in the future! -Ed. Nestled in the forest between the Greek Theatre and Triton Pools sits an overlook known as Shoe Falls. * While researching original drawings at Cranbrook Archives, I discovered that the pond, waterfall, and overlook were designed in 1941 by Cranbrook’s civil engineer, John Buckberrough, and constructed in 1943. 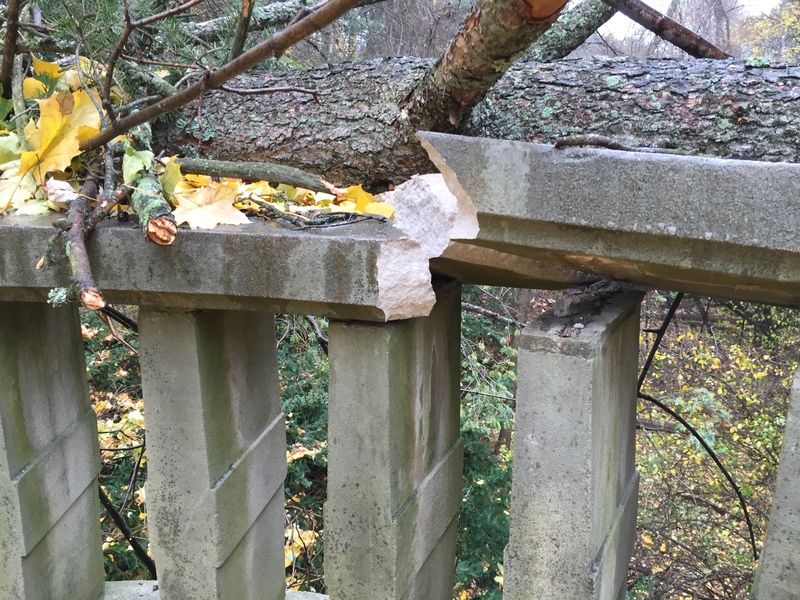 During a storm in mid-November 2016, a large tree fell onto the railing, fatally cracking two railing caps and dislodging seven balusters. Cranbrook’s Capital Projects Office was tasked with managing the restoration of this historic site on campus. The first step in the restoration process was to carefully remove the stones and set them aside. This way, the grounds crew could remove the fallen tree. 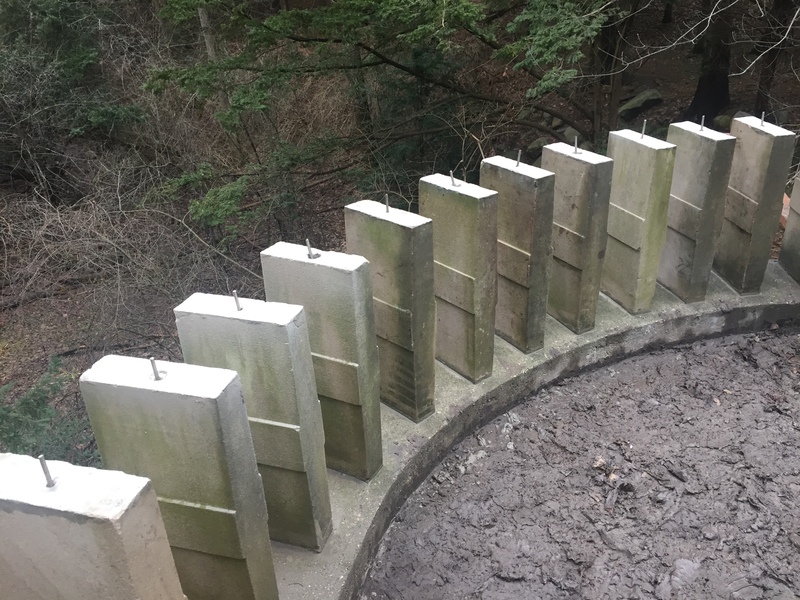 The cracked limestone railing caps were digitally measured and new pieces were ordered from a local stone fabricator, who purchases new limestone from Indiana. The baluster stones were reused but meticulously cleaned of old mortar, dirt and other debris. 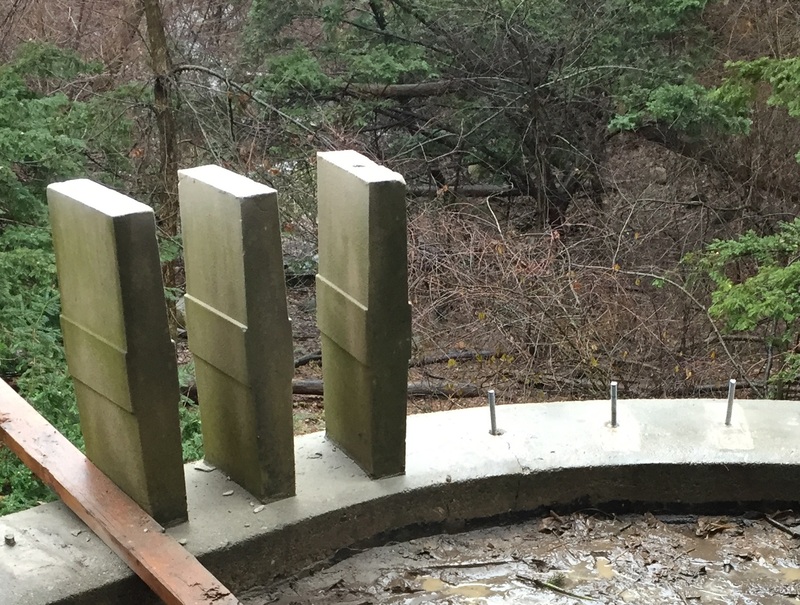 To make sure the railing replacement was to the highest quality possible, holes were drilled in the bottom slab and stainless steel pins were inserted. The pins were epoxied into place which permanently attaches them to the bottom slab and creates an anchor point for the baluster. A small bed of mortar was placed around the pin and the balusters were set on top of the mortar. Each baluster was leveled vertically and horizontally to ensure the stone caps would sit perfectly level. 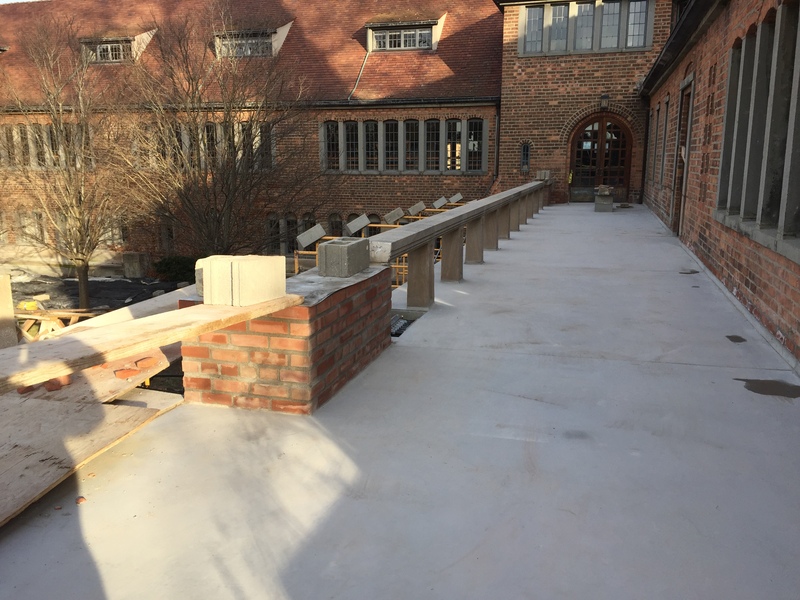 The same procedure, with the epoxied pins and mortar, was performed on top of each baluster so the railing cap would be tied to the supporting elements below. Finally, the caps were set into place, again keeping a close eye on leveling and placement so everything was put back seamlessly. Come spring, the site will be fully restored by planting grass seed. Many thanks to the contractor and crew for an outstanding historic restoration project! *The small pond which feeds the waterfall was initially named Shoe Lake and the waterfall did not have a specific name, however, over the years, the name Shoe Falls has been adopted for this entire area.